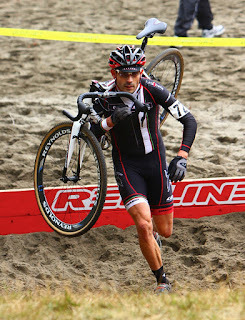 Garage Racing has been hitting the local MFG and SCX cyclocross series with a vengeance. Starting with the dry, dusty, and definitely too-warm early September races to the muddy, slop-fests of November, Garage racers have had their suffer-faces on across many of the racing categories. 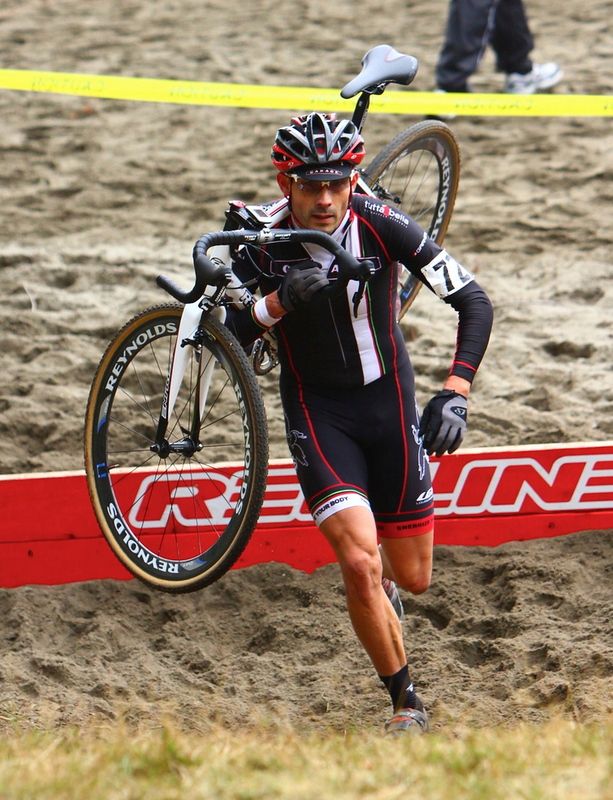 Cyclocross racing brings the unique combination of speed, obstacles, and challenging terrain to spectator (and family) friendly venues. When a beer garden and Halloween costumes are added to this mix, the result is some pretty outrageous fun times. Enthusiastic cheering, merciless heckling, and hand-ups that range from hot dogs to beer to five dollar bills tucked into a guys' unmentionables create a festive atmosphere. A record number of Garage racers have been flying the Garage colors with distinction this year. Notable results include a hard-won victory by Sean Phillips in the Cat 3 45+ Magnuson Park race. 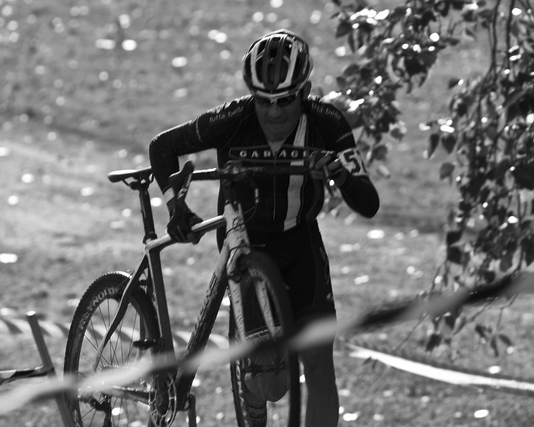 A string of second placings along with a long-sought-after win in the Cat 1/2 45+ Raceway CX race has Nikos Mills nursing a 9 point lead in the MFG series going into the last race at Woodland Park. Other Garage racers recently seen sporting the dreaded brown stripe include Dan Labuda, Alex Rosenast, Mike 'the-swedish-sensation' Murdin, Mark Mirante, Dean Rogers, Jeff Hsu, Patrick Raney, and Matt Hill. As the cross season comes to a cold and wet end, come out to one of the remaining races to cheer, heckle, and have a beer with us.